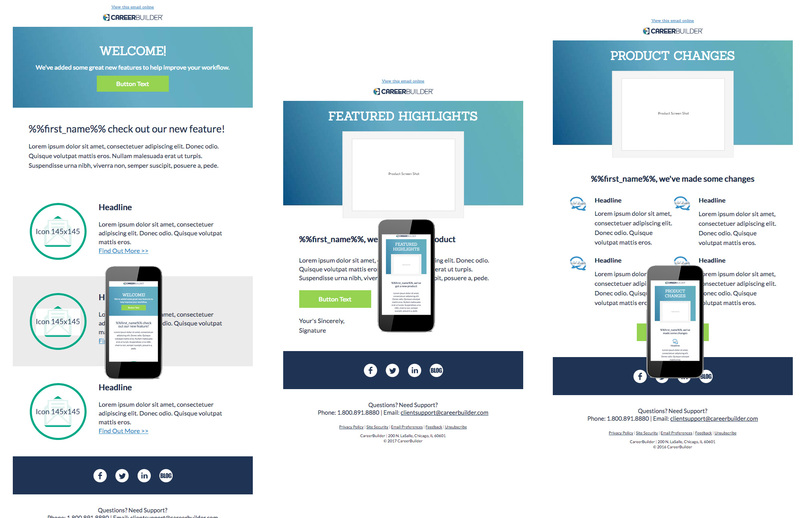 I designed and coded eight responsive emails to highlight CareerBuilder’s products. A lot of the headers use background images, some versions of Microsoft Outlook don’t support background images so it defaults to a solid color. The open rate on desktop and mobile is almost the same so mobile browser render these emails they way there were intended and desktop clients with Outlook will see all the necessary information just not the background gradient.